July came and went, all to quickly, it feels like. A year ago, mid-July, I was at my daughter's for a visit and the annual Spectacular Death meet-up. If you remember, I returned home with memories and a new fur baby. How could it be a year now, that Hamlet's lived with us? I almost don't remember what it was like to have only 2 cats. He plays chase with Pilchard and, occasionally, Mija. He's a fount of energy. He's adapted to life with us or maybe we've adapted to him; who really knows. The big change is Hamlet himself. He takes up a lot more real estate than in July 2016. I also note that, because he's more of a lover than the other two ever were, they are starting to demand lap time to curl up and sleep. 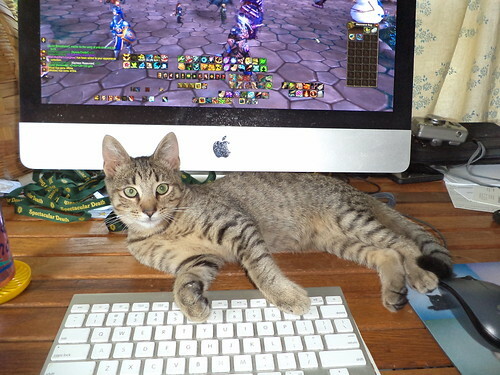 Pilchard used to sit, for at least 2 hours or until the feeling started leaving my knees and I'd have to move her. 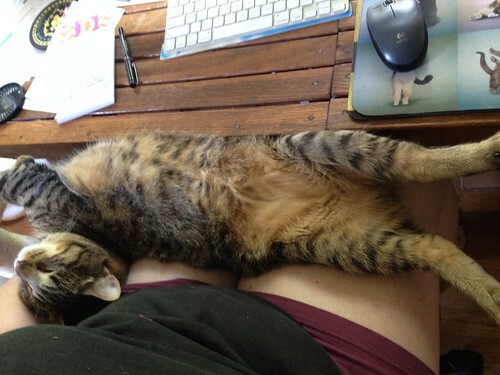 Then, with Hamlet demanding attention, she quit sitting in my lap. She's back to that now, although not as long as before he came here. Mija just recently started wanting my lap when I'm sitting down with my feet up. And there's the lying on mom when she's trying to sleep. I get that he was probably dumped too soon and I'm mom cat, but 1:30 in morning is not a good time to climb up my chest and lie down. Because he does it, Mija's been doing it. I don't want to have to shut them out of the bedroom, but I need a full night's sleep. I'm trying an experiment this month with Feliway. Around the 10th of every month, I've been replacing the bottle because it's run out and I notice more antagonism between the cats. This month, things seems to be quieter so I have not replaced the empty bottle with fresh. So far, knock on wood, we are doing okay. I'd rather they just learned to live together and not have to rely on pheromones to do so. Maybe we've reached that point. We'll see. Love my boy. I still call him "kitten britches", although he's hardly a kitten anymore. I was worried about adding another cat into the household, but rescue makes you do strange things, like rub the belly of a lap sleeping cat because, at 15 pounds, he's slowly cutting off the circulation to my feet. Back at the end of May, I got a new bag for the Disney World trip upcoming in October. (Is it time to panic, yet? How about now?) I settled on a very steampunk-ish looking bag I found on Etsy. I felt everything I would want to carry on a trip to a park would fit inside the bag. 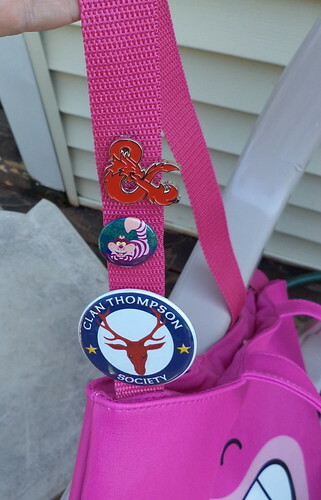 I loved the look and how a Dungeons and Dragons pin a friend sent me fit wonderfully on the cross-body strap. I took the bag to the June Highland Festival I attended and, quickly, it became obvious this was NOT a bag which would be useful for Disney. I lost 2 of the 3 bottles on the front. I thought they were in their straps tightly. They weren't. I couldn't get a bottle of water in the bag, along with the phone charger. There are other things which need to be in the bag while I roam. I was rather disappointed. So, I started looking around for another bag, a bigger bag. I'm inclined to think Disney has a listening device in my house because, at the end of June, they had a sale and, viola, there was a bigger bag. Well, of course I'd buy one with the Cheshire cat on it. How could I resist this? It's "leather", although I think it's the imitation kind. It's deep with interior pockets. The pocket on the right doesn't close while the pocket on the left zips shut. 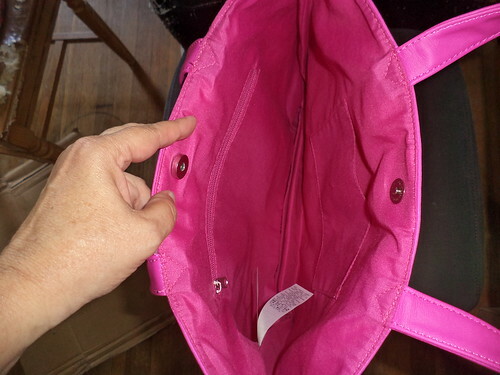 Anything I might want to carry should easily fit in this bag. The only issue is that the straps are not cross-body. They are short enough to make the bag sit right under the armpit, but long enough that I could access the bag reasonably quickly. But, I really wanted cross-body functionality. My RA can make my shoulder muscles tense and even paring down what I need/want to carry, was going to mean the bag would weigh on my shoulders by the end of the day. The ability to keep my hands and arms free would make the vacation better. What to do? A trip to JoAnn Fabrics provided a solution. The inside is lined with a heavy silk material. 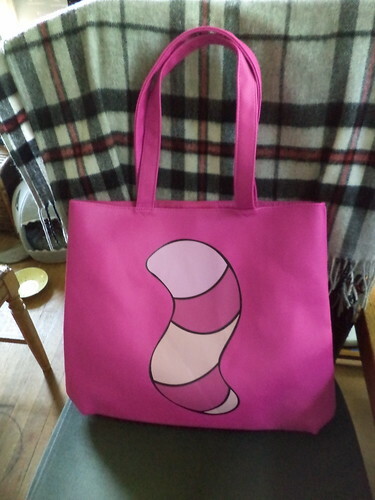 I bought a length of pink canvas trim. It's an inch wide. I got a little more than I needed because, at the time, I didn't have the bag to measure. Once I figured out the proper length for the bag to hang where I wanted it to, I pinned the edges to the liner and cut the trim. 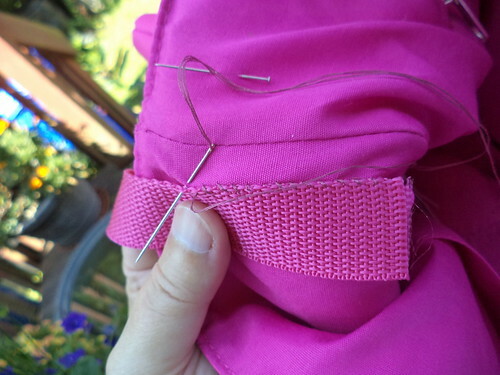 Then, I hand stitched the trim to the liner. 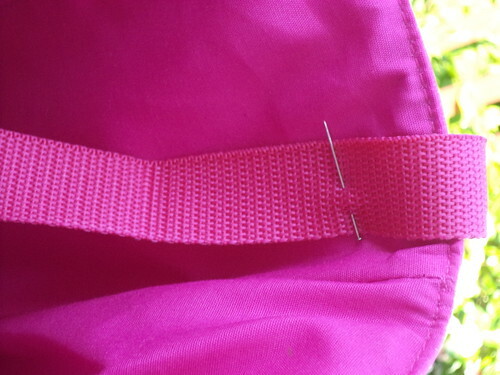 The trim is attached at the liner side seams. I could feel the fabric of the seams and tried to stitch the trim into that seam for added support. It was the perfect day to sit on the deck and stitch. 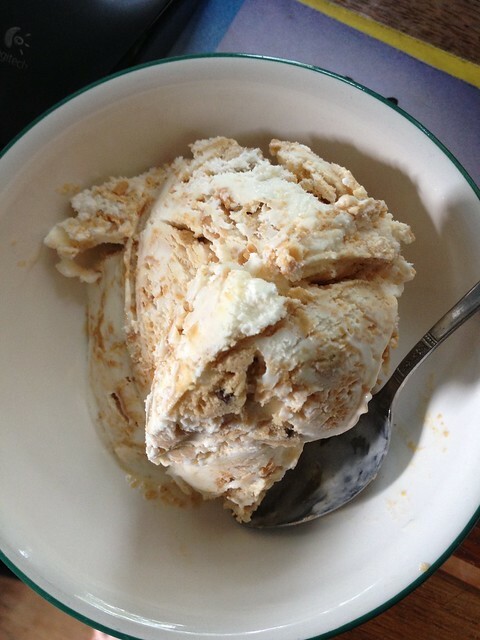 When finished this is the result. 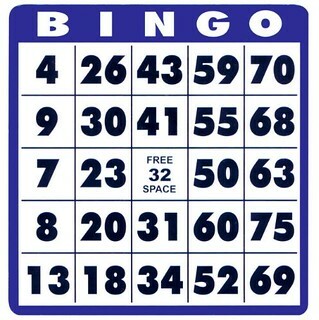 I'll be able to sling this across my body, keeping my hands and arms free, but having access to the bag. The handles are kind of stiff and I'm going to have an issue with them popping out of the bag at first. But I think, with use, and being anchored by things inside the purse, they will stay down when I want to use this cross-body. Plus, the trim goes neatly into the bag if I don't want to mess with it. 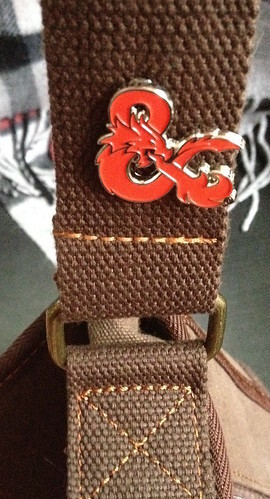 I moved the D&D pin to this strap and added a couple more. I'll be able to add more pins to the strap, although I'm not a pin collector as such. My friend, Liz, sent me a link to all the exclusive souvenirs offered during the Food and Wine Festival and the Halloween party. There are pins. I will need to get pins for the strap. 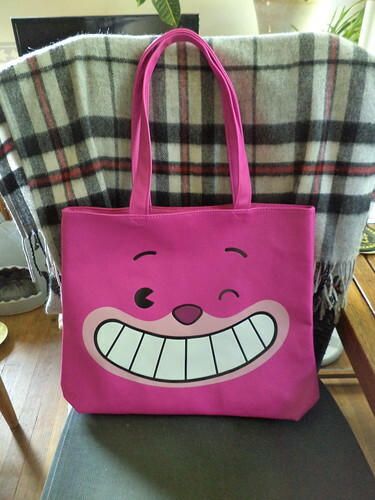 After Disney, I can see this being a shopping tote for me. 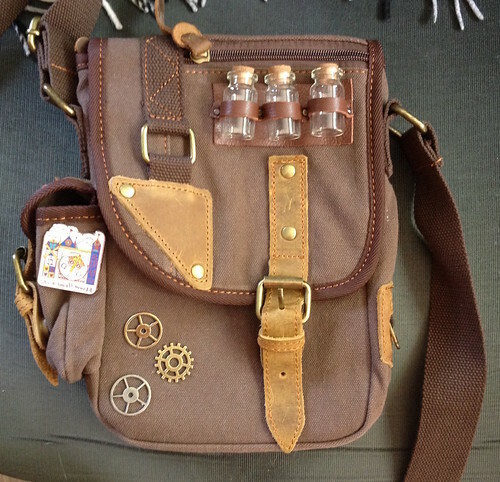 I'm going to keep the steampunk bag and try to find replacement bottles for the front. In some situations, the steampunk bag will be nice. It just doesn't work as I thought it would, for the Disney vacation.